Bottlecap Pat’s Choppers & Trikes started when owner & fabricator Patrick Lopez looked online for bikes made out of different things. He’s an avid rider and lover of the hogs so what he found just didn’t do it justice! 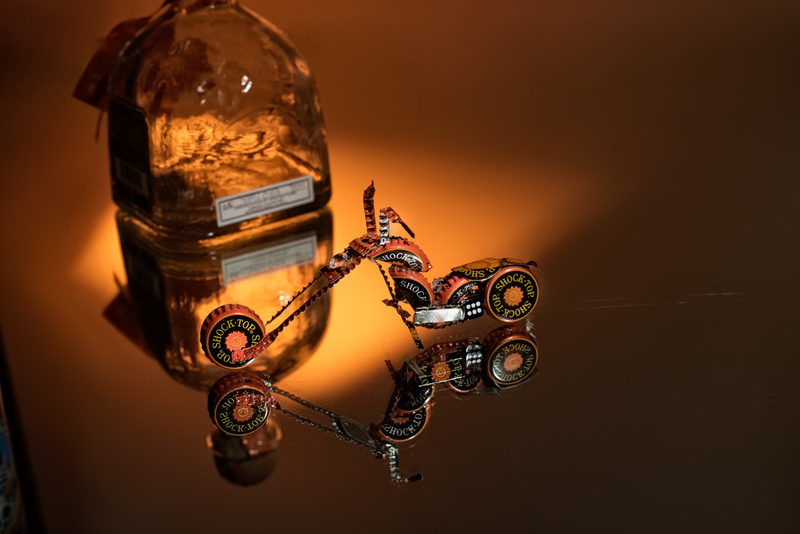 So he decided that he would put his skills to the test and now he designs bottlecap Choppers, Trikes and Dioramas. You can go to his facebook page https://www.facebook.com/Bottlecap-Pats-Choppers-Trikes-1387797254617857/ and look at what he has available. He has options for handle bars, ape, and drags. Even backgrounds to complement the style. 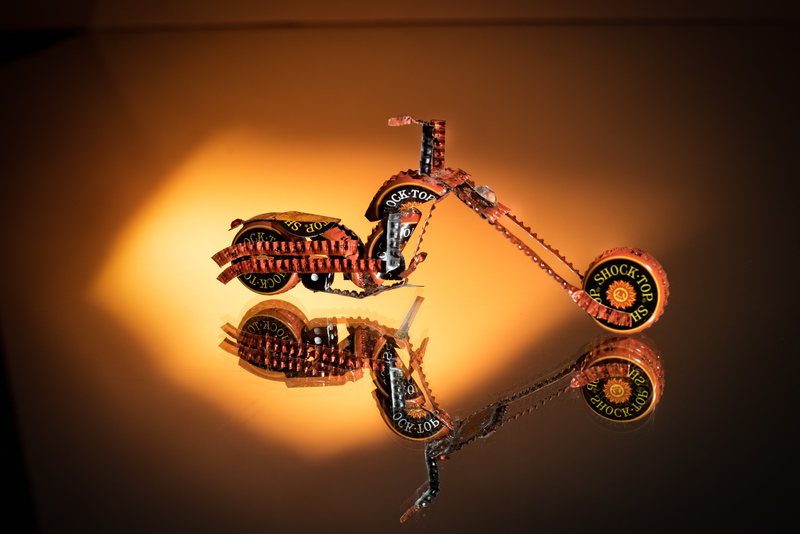 I’ve never seen a bike made out of bottlecaps so I was very amazed of the craftsmanship he puts into his models. I wonder if he drinks all the beers that his bottle caps come from? 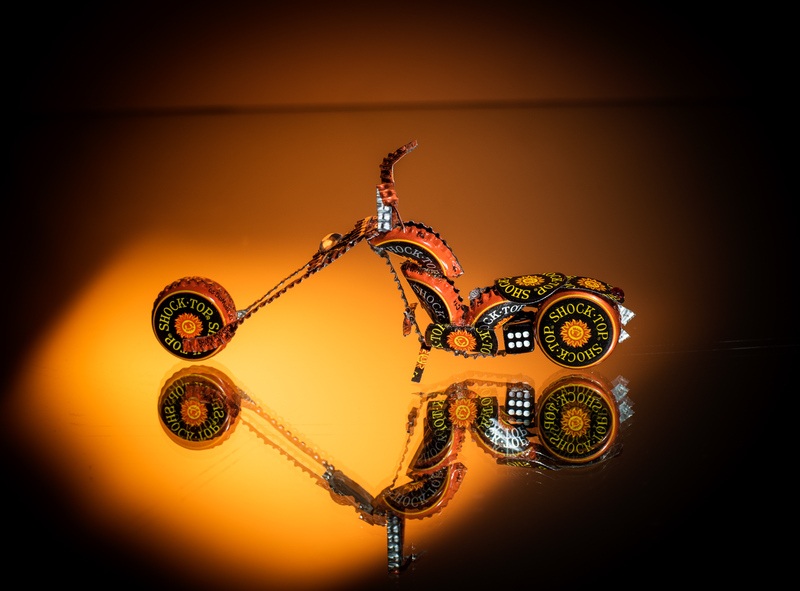 Well if you love the rolling steel and like to have an authentic, New Mexican made mini motorcycle make sure to reach out to Patrick! If you want the one that is posted too bad! This one is mine! In my years as a photographer, I’ve learned to appreciate the things that make life worth living; friends, family, loved ones and all the other special moments that we hold as our treasures. Through my lens I am able to capture these special moments with true emotion and translate them into art so you can display and keep that memory alive for you and others to last forever!